Hey Dad, time to recycle some of your jokes. Dad, with his one-liners, what he thinks to be clever plays on words, and groan-inducing, hand-hitting-the-face hilarity, will never think to not share what he deems a funny joke. He won’t just share it quietly nor elegantly, either. Dad will make every effort to entice us into his provocations while thinking they are completely normal and genuinely funny. We think Dad would definitely approve of the jokes here. Some are tried-and-tested, while others are modern and cool. 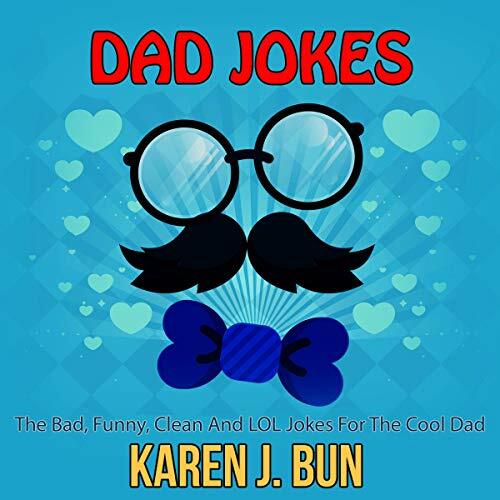 This audiobook would make a perfect Father’s Day gift, birthday gift, holiday gift, or gift for any special occasion to celebrate Dad! These are a few of the silly, banal, absurd, ridiculous, and plain-old funny jokes that we have all heard Dad say one time or another. Start laughing by click on the “Buy Now” button!